So you've taught your students to write sentences. Now what? In the beginning of my career, we worked HARD on writing sentences. When it came time to take the next step into writing paragraphs, I found this was even harder for my students. We were able to write 2-3 sentences about a topic or picture, but organizing our thoughts and giving evidence was hard stuff. 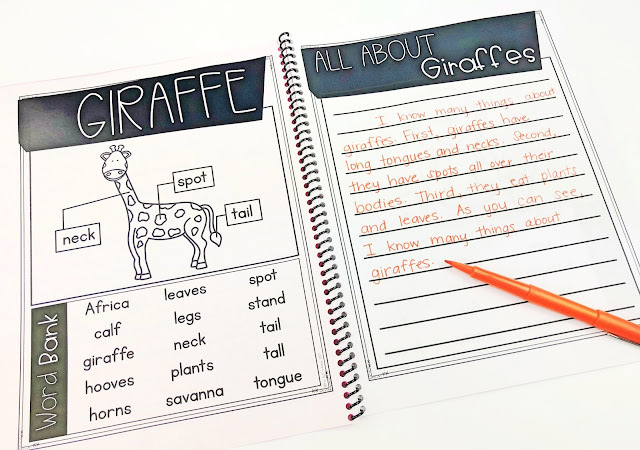 Early on, I found that teaching my students to use a paragraph frame was essential to them learning how to write a paragraph. I also found that writing about non-fiction topics was something they preferred. So I started there and build a paragraph journal for my students. I soon found out that some of my students needed even more support than that to write paragraphs, so I started scaffolding. I came up with 3 supports I use to teach students to write paragraphs. 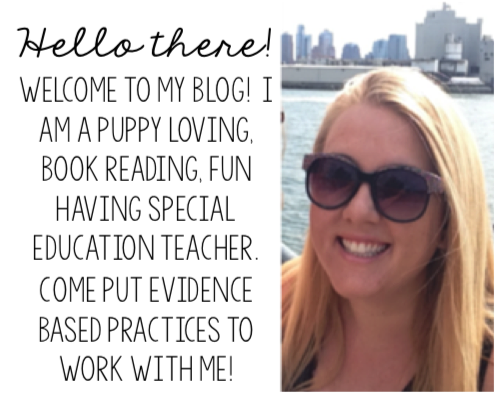 Before I dive in, I want to share some helpful tips that have helped me in the classroom. Every time my students write a paragraph in the classroom (no matter what form of scaffolding they use) we reread the paragraph together. This allows my students to hear their words and the formatting of the paragraph out loud. 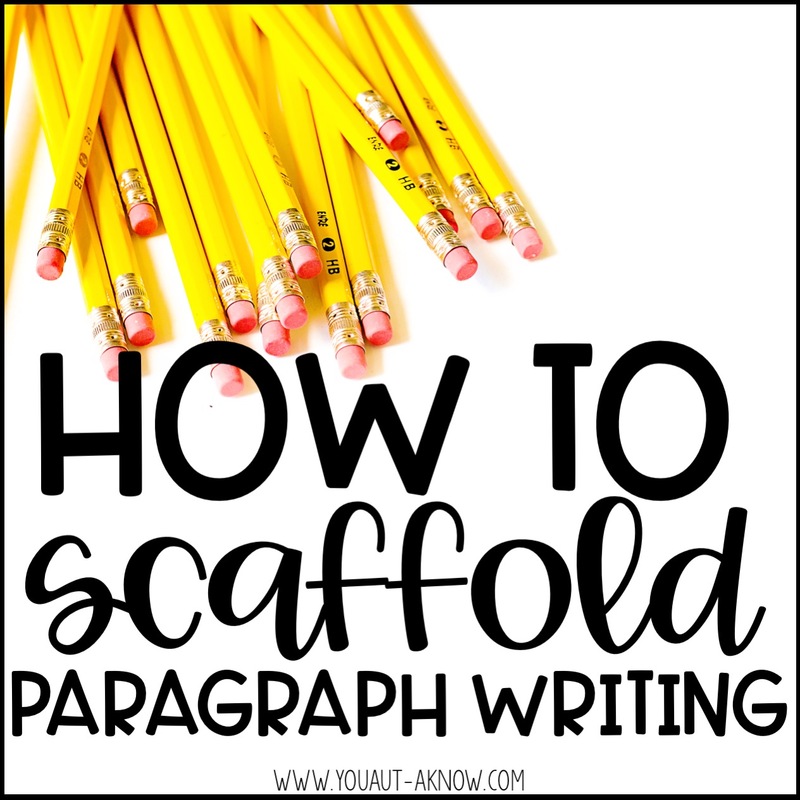 I find this helps them as they move throughout the scaffolds I provide for paragraph writing in the classroom. 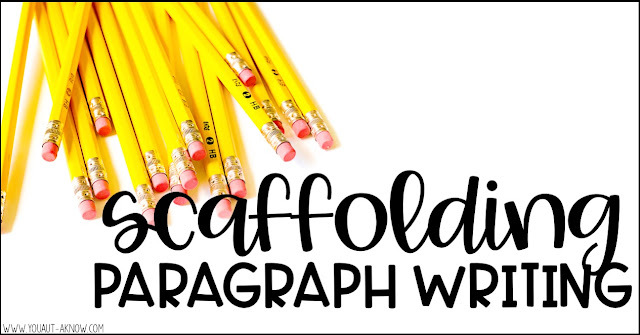 When it came to writing paragraphs, I realized, I'm teaching students an entirely new format of writing. Sure, prior to this, they were giving me information about a topic, but writing a paragraph is a whole new beast. It takes some organization and planning. I decided the best way to teach this to my students is to use a cut and paste format so they could learn the format while composing a piece of writing. 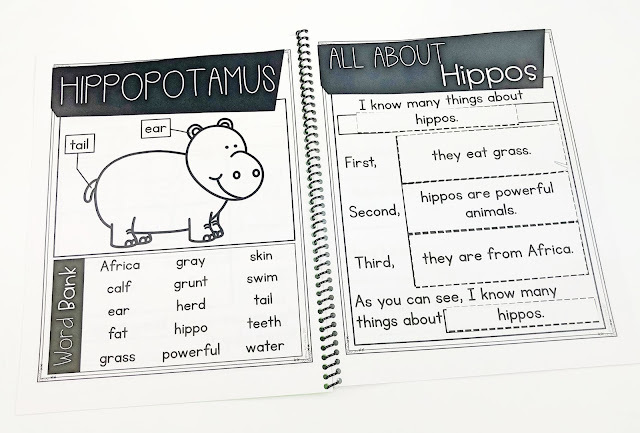 Believe it or not, often times my students will take it upon themselves to graduate to the next level of paragraph writing and start writing their details into the blanks in their cut and paste journals, but occasionally I find a resistant student, so I will use a paragraph frame in their journal. Using a frame gets my students to start becoming responsible for their writing. They fill in the frames with the topic, add 3 details, and add a conclusion to the end of their paragraph. Once we're fluently filling in the blanks in a paragraph, it's time to take off those training wheels and get our students writing. Providing a topic and some lines is all my students need to get writing! This is where you get to start getting creative. 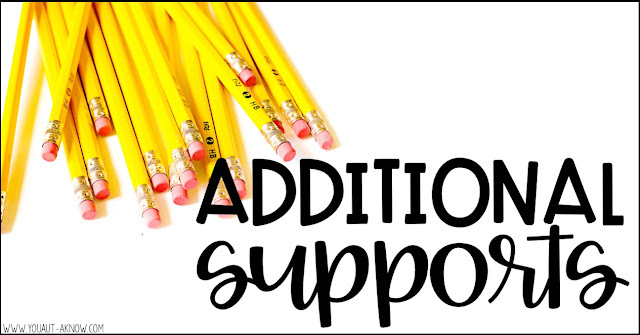 I'll start out using the paragraph format we are familiar with and start expanding our writing by introducing new transition words or adding some more variety to our introduction and conclusion sentences. This is really when the magic start happening! 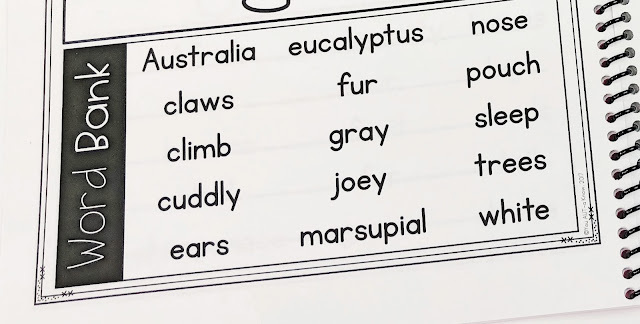 Sometimes my students just need a little extra help with vocabulary. I use these labeled diagrams for that purpose. I will often review the diagram with students before they start writing and help them refer back to the diagram as they're building their paragraph. 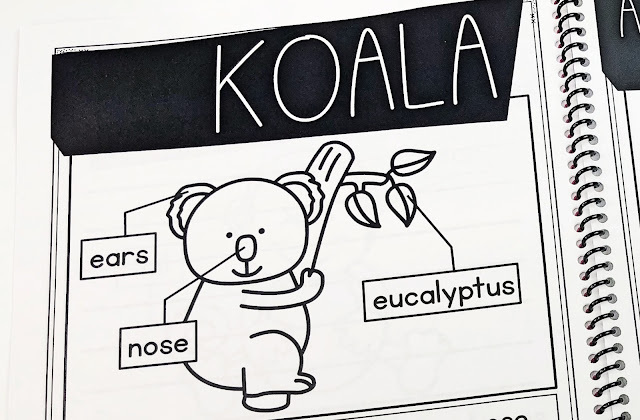 Providing a word bank is a quick accommodation that both helps students with spelling and with generating ideas to write about in their paragraph. 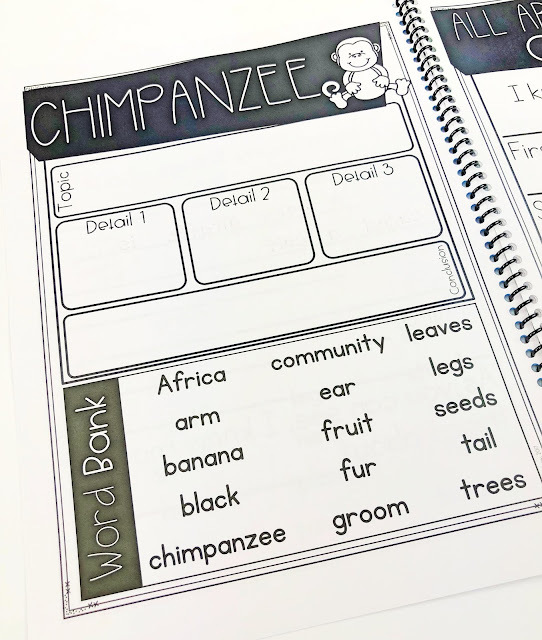 When I provide a word bank for students I'll often run through the words in the bank and encourage students to use 2 words from the bank while writing their sentence. I'll admit, this can sometimes get us out of using repetitive or rote sentences in our writing. Of course, writing a paragraph is a perfect time to introduce using a graphic organizer! I love using an organizer before writing so students can start planning what they want to write about. Planning out our topic, details, and conclusion is the focus of our paragraph planning and jotting those details into a graphic organizer before getting started helps students organize their thoughts. 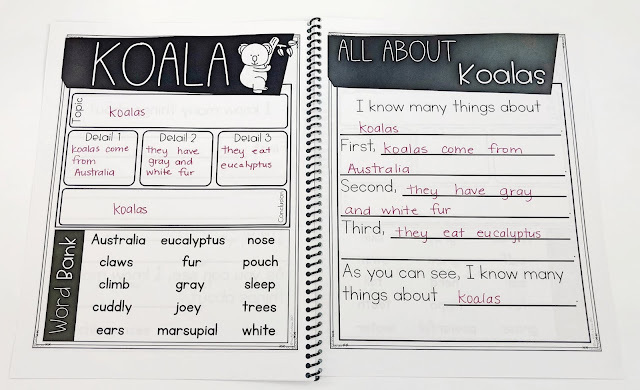 If you're ready to dive deep into paragraph writing with your students you're going to want to check out these no prep paragraph journals. Just print, staple, and you're ready to go!